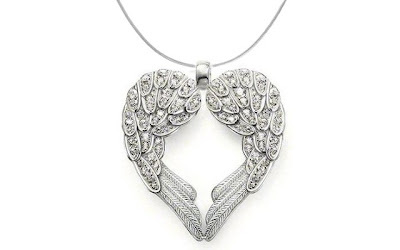 This Sterling Silver Angel Heart Guardian Angel Wing Pendant 18" Necklace with Cubic Zirconia Accents is currently selling for just $28.90 on Amazon.com! You will be saving 28% off the listed price of $39.90 with this jewelry deal. What I like about this guardian angel necklace is the detail and shape of the wings. This would make a beautiful gift for anyone who is heading off to college, going to study abroad, or moving far away from home.